Because of his extensive surgical training, Dr. Barnthouse is uniquely qualified as a specialist in Plastic Surgery. He is one of the elite few physicians with additional training specializing in cosmetic and breast surgery, and is known for his talented surgical ability and expertise in handling difficult cases. 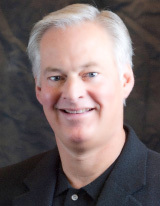 Dedicated to patient counseling and education, Dr. Barnthouse has a warm “bedside manner” and takes the time to fully explain your options and procedures. Dr. Barnthouse is Board Certified by the American Board of Plastic Surgery, and is a Fellow of the American College of Surgeons. Dr. Barnthouse completed his Plastic and Reconstructive Surgery residency at the University of Missouri-Kansas City after his General Surgery residency at Santa Barbara Cottage Hospital in Santa Barbara, California. He completed his fellowship in Aesthetic (Cosmetic) Surgery at Mt. Sinai Medical Center in Miami Beach, Florida. He also completed a fellowship in Breast Surgery at St. Joseph’s Hospital and Emory University in Atlanta, Georgia. He received his MD from the University of Kansas School of Medicine, and his BA from the University of Kansas. Dr. Barnthouse is a member of the American Society of Aesthetic Plastic Surgeons, the American Society of Plastic Surgeons, the American Medical Society, the Kansas Medical Society and the Missouri Medical Society. He was President of the Kansas City Plastic Surgery Society for 2004-2005. Dr. Barnthouse was recently recognized as an IDEAL IMPLANT Preferred Surgeon due to his extensive expertise working with IDEAL IMPLANT® Structured Breast Implants, the latest technology in breast augmentation. With a unique structure surrounding these saline-filled implants, women can achieve beautiful results with zero risk of silent rupture. Dr. Barnthouse uses the IDEAL IMPLANT to help women look and feel their best. With the IDEAL IMPLANT, no expensive MRIs are needed, and they come with a lower risk of both capsule contracture and ruptures when compared to other implants. "A wonderful surgeon - detailed oriented & precise"
"He’s the best of the best"
"BEAUTIFUL results and outstanding patient care"
"His experience is second to none"